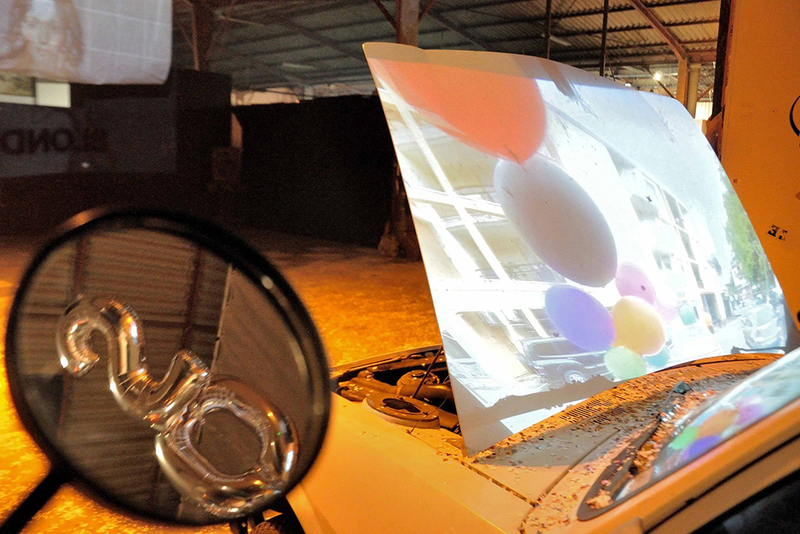 Video installation, varying dimensions, 2015. 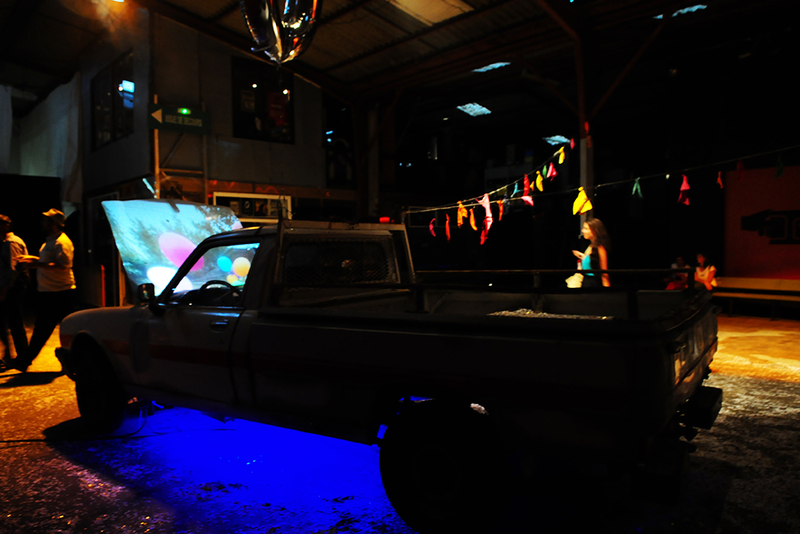 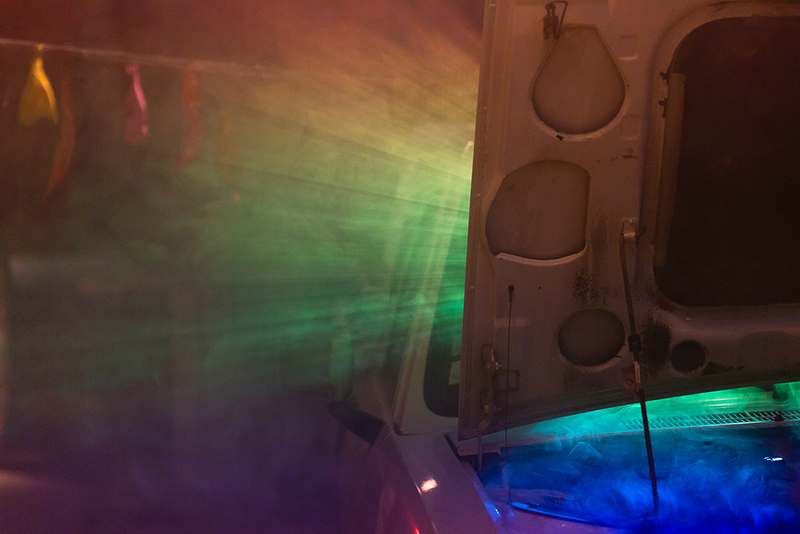 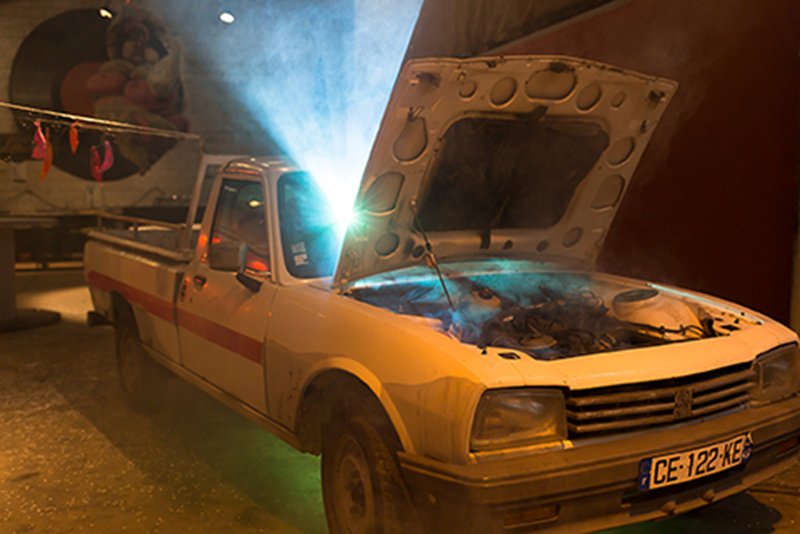 Peugeot 504, LCD projector, rasberry pi, 20 kg of confetti, burst garland balloons, smoke machine, tuning led kit. 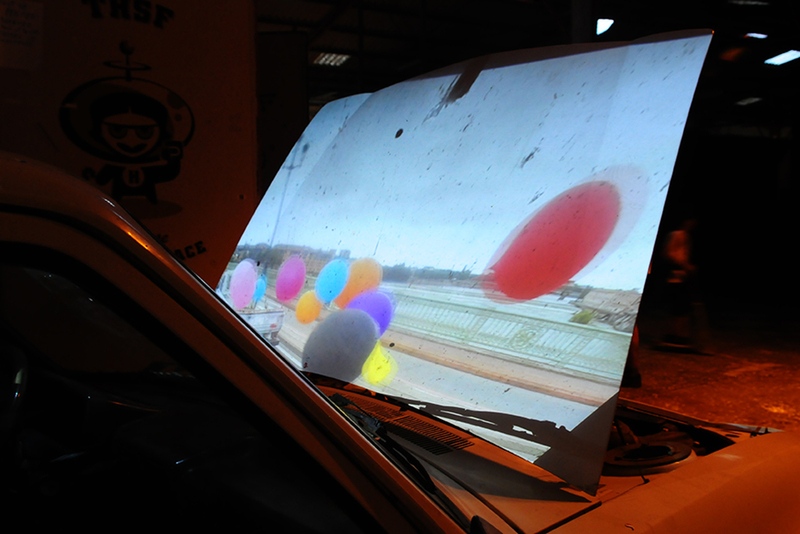 Thanks to Ghani Touati, Thomas Bigot, Francis Albucher, Philippe Martorell et Planète Sciences for their generous contribution to the project. 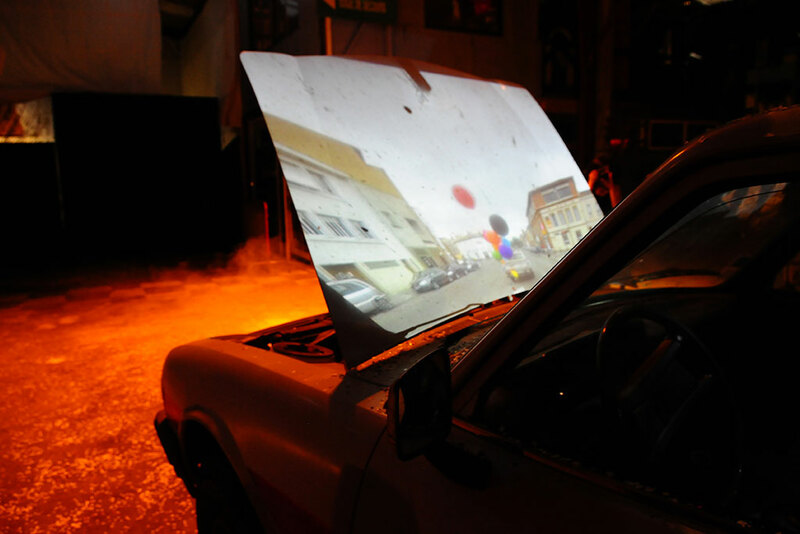 Pursuit screens a video of a car chase in the city. 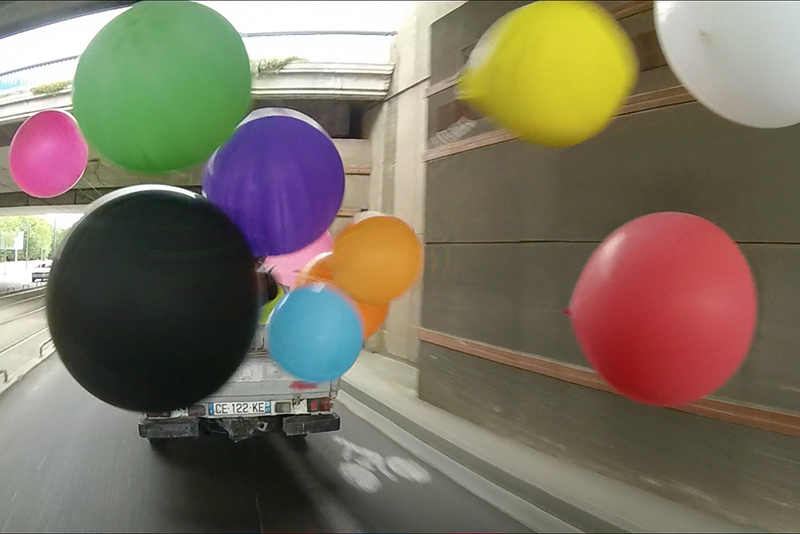 The chased vehicle is an old pickup truck, dragging in its wake a flock of colorful helium balloons of different sizes. 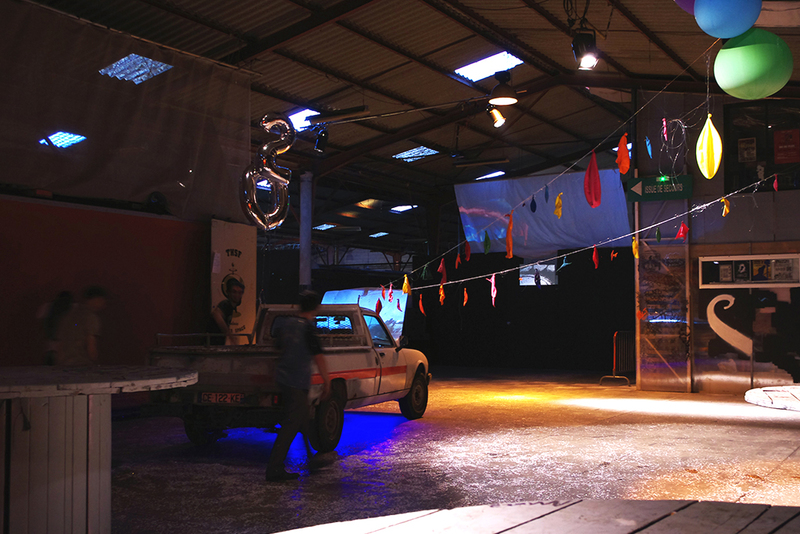 These balloons swing, knock around, dance, get mixed up, punch, scrape walls, set off or explode while oscillating between struggle and festive motions. 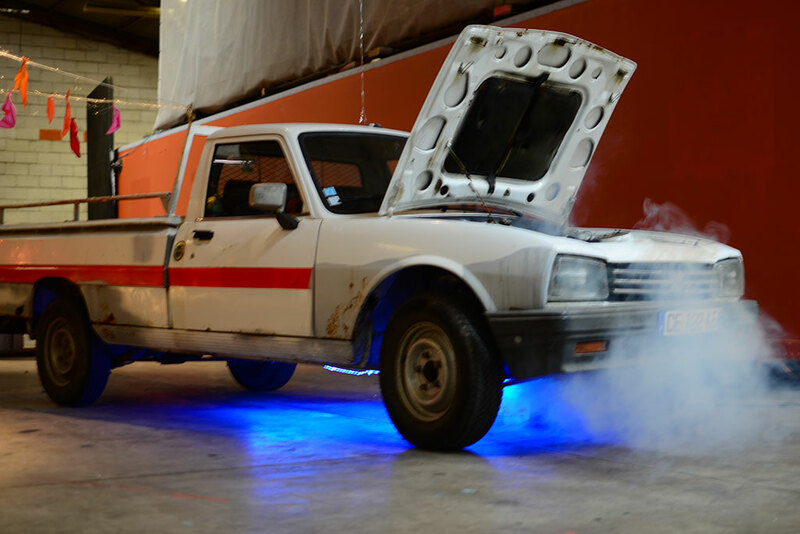 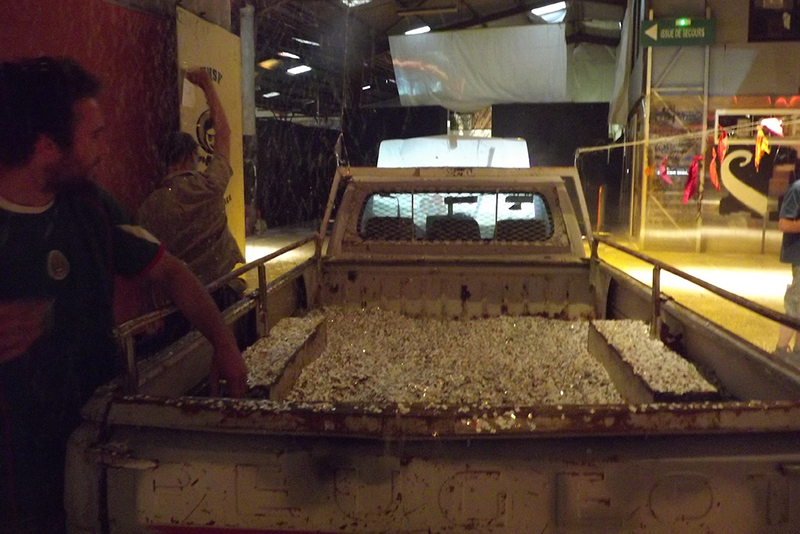 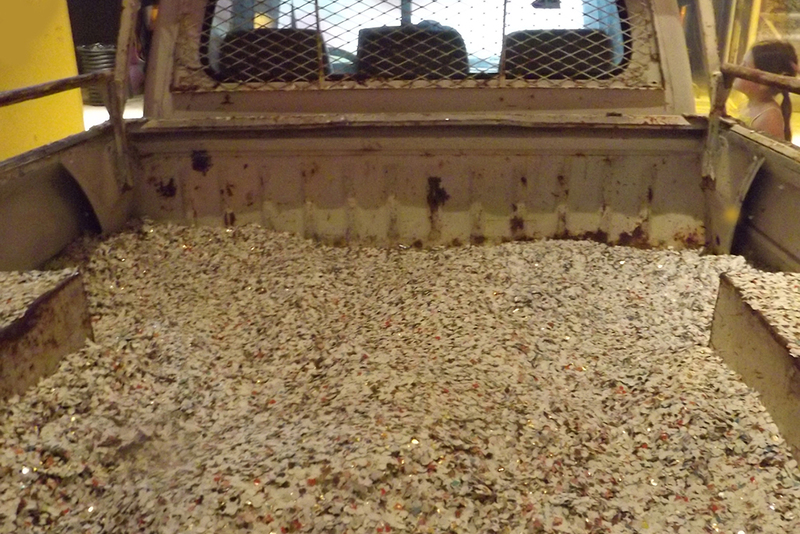 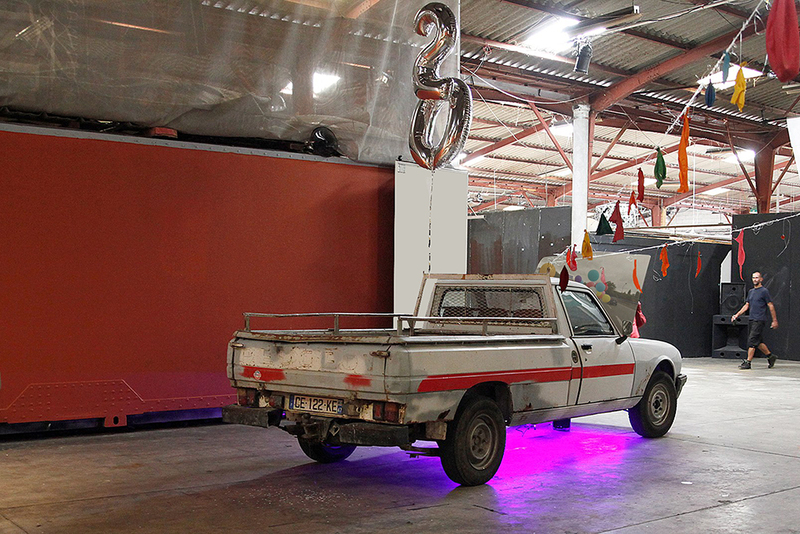 Two burst garland balloons, remains of the chase, are attached to the truck where smoke pours out of its open bonnet, 20kg of confetti fill the skip ready to be spread with the visitors actions, the whole scene is punctuated by the colorful pulses of the tuning kit.